Looks like we will get the 9th pick. Officially we’re flipping a coin with Buffalo for the 9th pick. 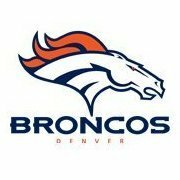 Updated articles are saying Broncos will have the 9th pick. They played a weaker scedual. Get it by a fraction of a point. Imagine going back and reading this in the middle of September. Oof. Would you take Derek Carr + 1.25 + 1.27 + Next year's 2nd --for-- 1.9 + Keenum's contract? Correct, it's a coin flip. TBH, that's the best-case result, if BAL had lost, we'd be picking 10th for sure. The BAL W brought BUF back up to us. The Raiders are pretty clearly thinking Vegas 2020. It doesn't really do anything for them to trade in Carr for Keenum, no matter the pick upgrade. Either they get the elite EDGE/DE, or they go Haskins in 2019 early. Given they aren't moving to Vegas until 2020, they could just keep Carr and tank hard for 2020. That's one result of Gruden's 9-years left on his contract - total job security to tank for 2019. At 9 we should get a great, impact ballplayer. CB, DT both look strong and deep. Anyway, we've got holes all over the roster and very little depth. BPA should work nicely for our strategy. See I have a hard time with that logic -- because if I'm Oakland (or Las Vegas) and Carr is not QBOTF (which all indications are that they don't see him that way) then I cash-in on his trade value now for two reasons. 1) Because he will probably never be a more valuable trade asset than he is now 2) if you're tanking for 2020 or drafting Haskins this year, what value does Carr bring? You're either tanking -- and there are undoubtably better options at QB for a tanking team, or you'd want to get your rookie those reps. Either way, Carr doesn't seem to fit-in to their plans - and he's a depreciating asset.